I've been a fan of the Hollows for years, but haven't' gotten into the Drafter yet. The story doesn't synch with me as well, although I do intend to give it further chance later. This short story by Kim Harrison was a good way to garner interest for the new series as she creatively melded old and familiar faces with new ones. It's a joy to see Rachel again but since I wasn't in her head, something just felt different. Jenks was his fun self, and I felt a small touch of sadness when he did - poor, aged pixie that no one can do without, even if he's stretched beyond his natural lifespan. Seeing Al again, although very very briefly, was a delight too. It was told through the point of view of Peri, who is obviously in the middle of vipers she trusts. I didn't latch on to her much because there were so many misunderstandings at play - and that's a pet peeve of mine - but the power she possess is certainly different in an intriguing way. It's short and easy to fly through, there are several tense moments that made me hold my breath, two beloved characters to revisit (Al doesn't count because the glimpse was way too short), and a new heroine to meet. 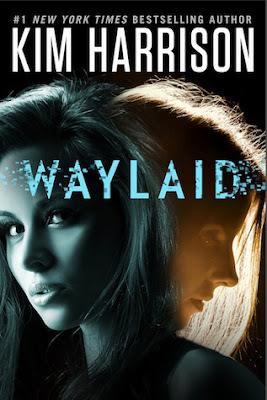 It made me miss The Hollows, but it also made me curious about a new world woven by the talented Kim Harrison, which was the point of the short story in the first place.